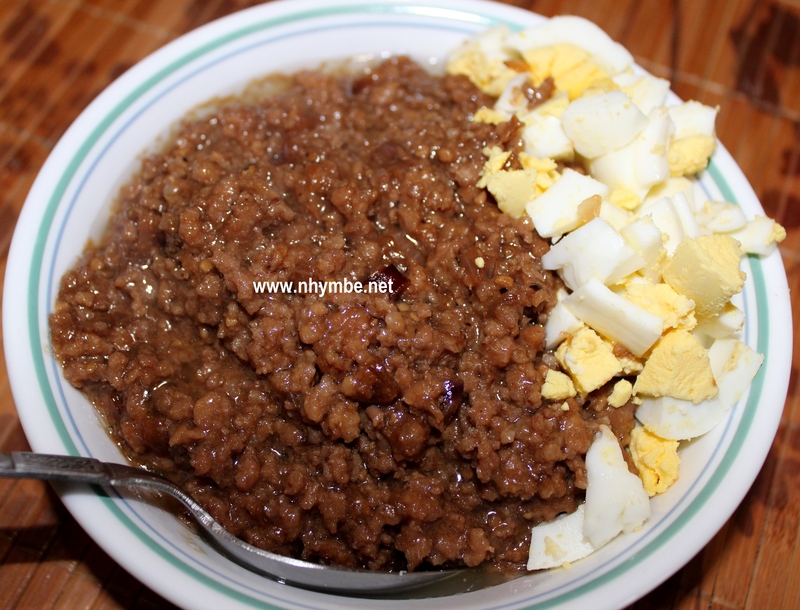 It can be a snack (meryenda) or breakfast or lunch. It’s affordable and available in the streets or even in the fast food restaurants. 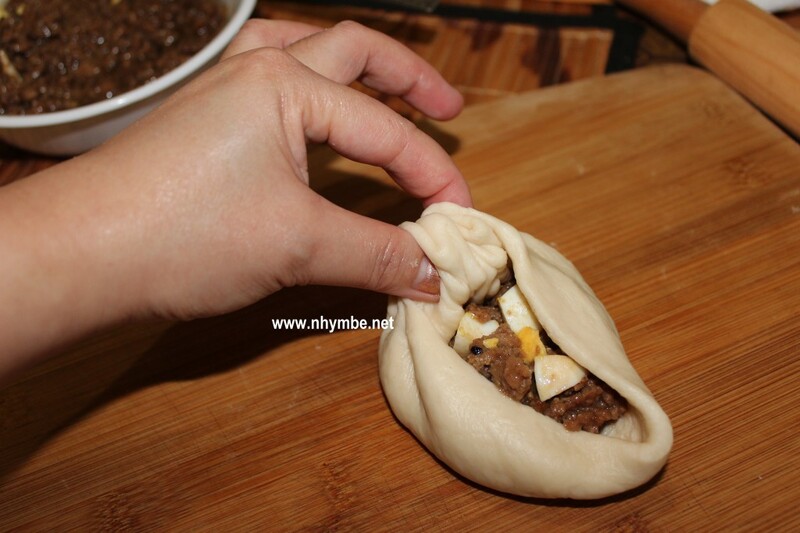 It’s delicious and it has complete nutrition, the bun contains carbohydrates and the filling contains protein with the meat and boiled egg into it. 1) Saute garlic, onion and meat. Add the soy sauce, oyster sauce, black pepper, and brown sugar. Saute until liquid evaporates. 2) Add the water-corn starch mixture and simmer for 5 minutes as you stir once in a while. Put it a bowl and ready for filling. 1) In a bowl, combine the yeast, sugar and warm water and mix thoroughly. Set aside and wait for 10 minutes to allow the yeast to activate. You’ll see that the mixture becomes foamy once it’s ready. 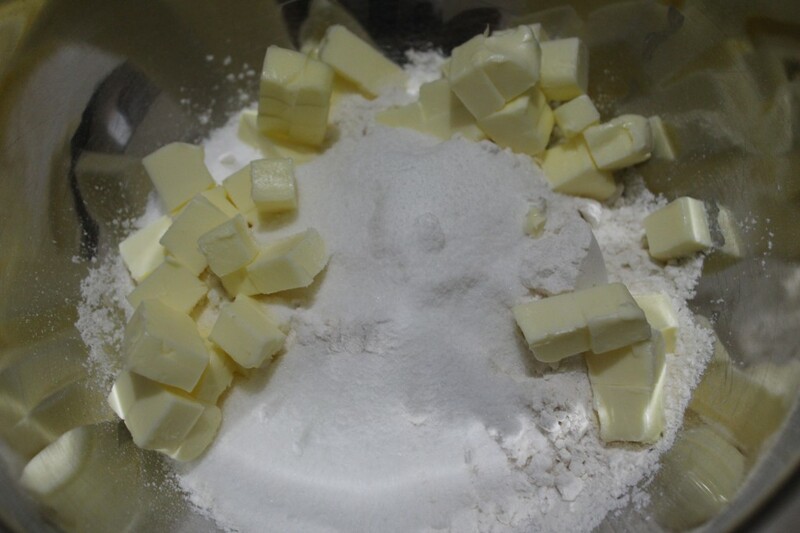 2) While waiting for the yeast to activate, combine in a large bowl the flour, baking powder, butter and condensed milk. Mix thoroughly until ingredients blend well. 3) Add the yeast-water mixture and mix thoroughly. Knead it on top of a clean counter or on a big, wooden chopping board sprinkled with flour to avoid sticking the dough on the board. Knead it until the dough becomes soft and clay-like in texture. Kneading will take you 8-10 minutes. 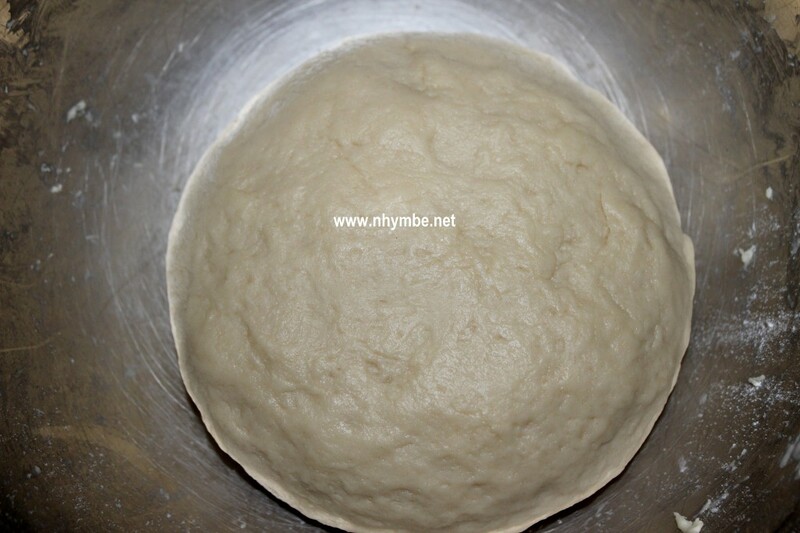 4) Form the dough into circle and put it in mixing bowl. Cover the bowl with a plastic cling wrap, set aside and wait for 1 hour. After 1 hour, you will notice that the size of the dough is doubled. 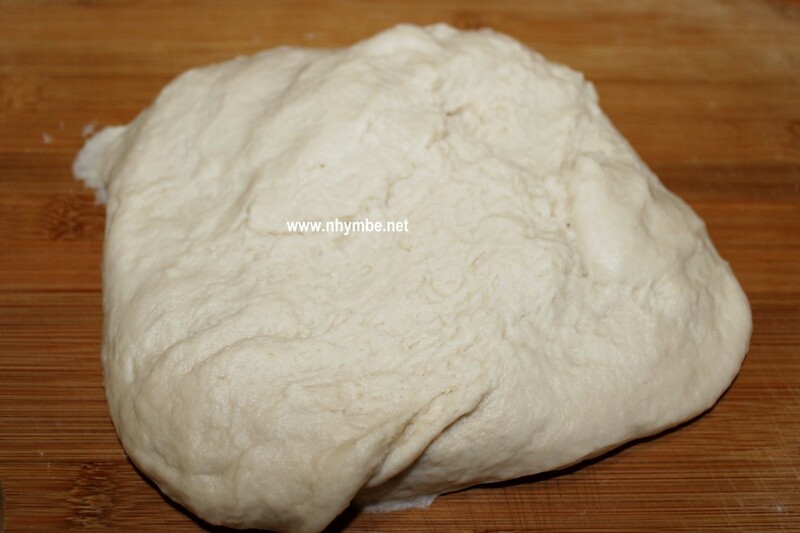 5) Knead again the dough and form it into a long dough, about 2 inches in diameter. Then, slice the dough approximately 2 inches long, making 10-12 slices. 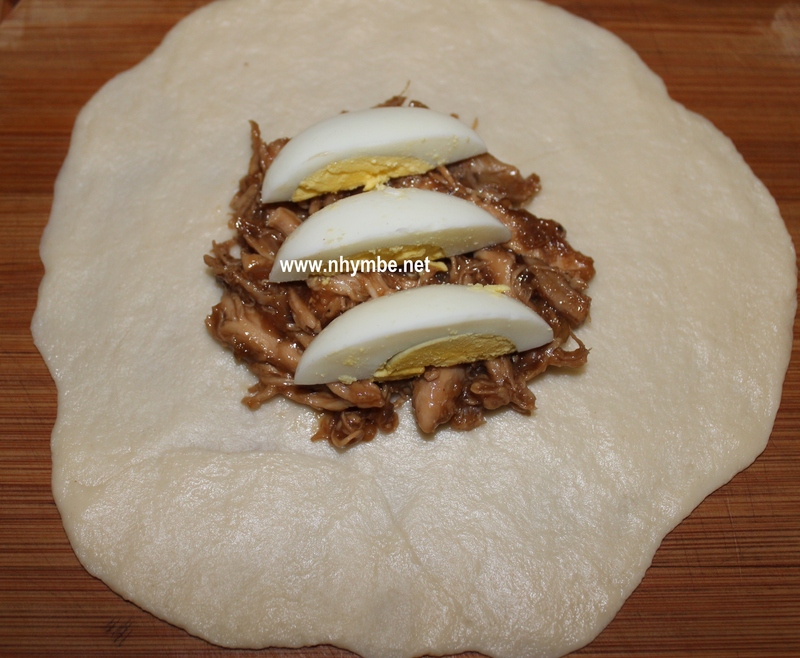 6) Form the dough slices into round shape and flatten it on a board by using a rolling pin. 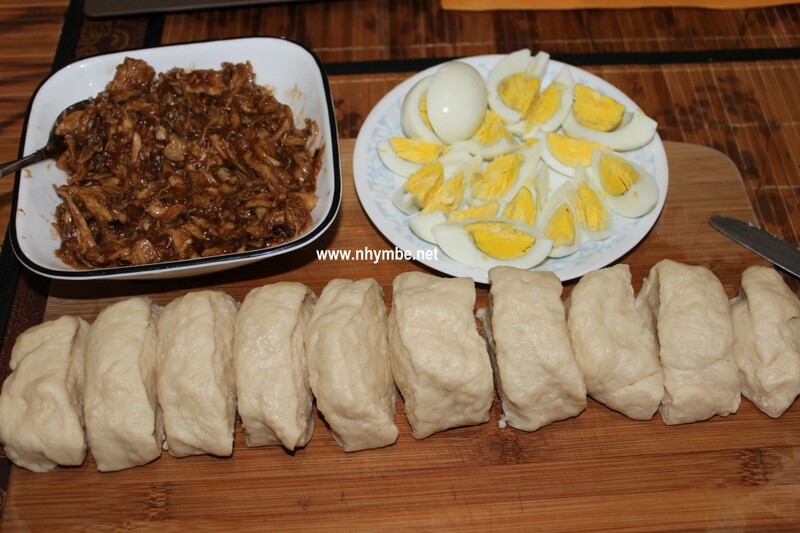 Put 1-2 tablespoon full of filling and boiled egg slices at the center of it. 7) Start sealing it by using your point finger and thumb together, pressing one edge of the dough, then get another edge of the dough, then press it again between your point finger and thumb until you have completely sealed the dough. Seal the dough by pressing together both ends of dough . After sealing it, form it into round shape if necessary. Please refer to the image below. 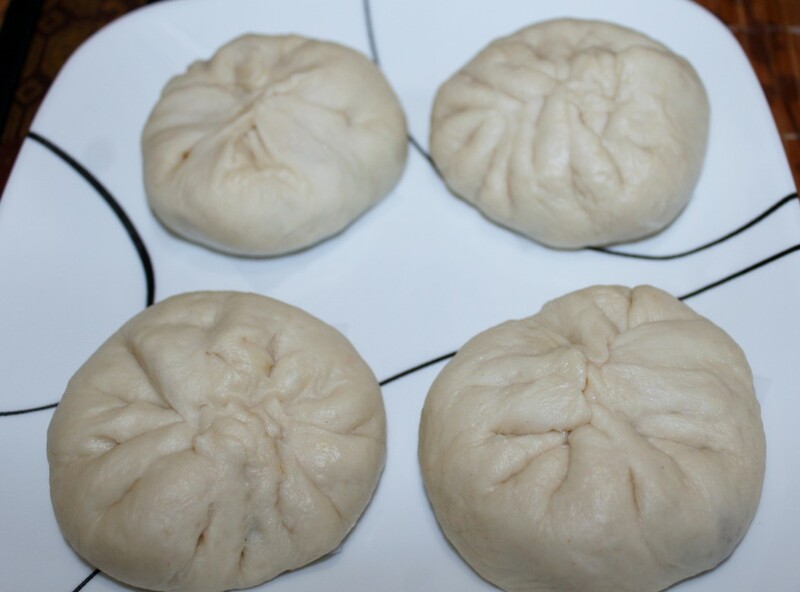 8) When ready, place the siopao into the steamer and steam for 10-15 minutes. 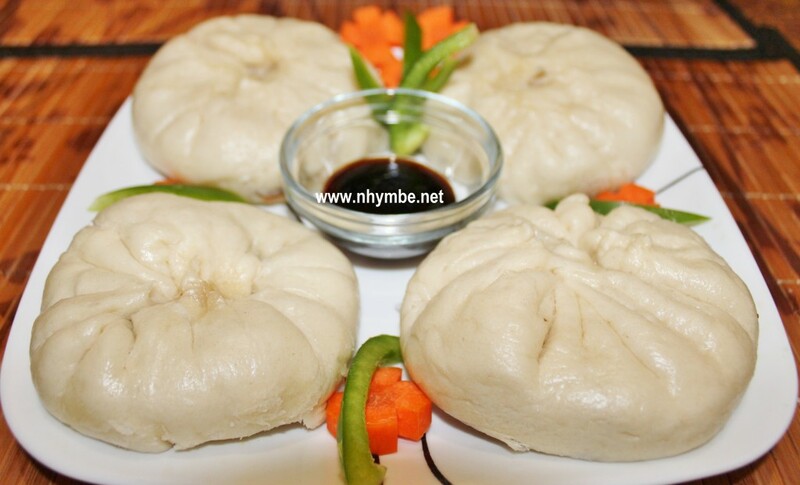 Make sure that the siopao or buns have enough space from each other because the buns will rise once they’re cooked. 1) Saute garlic and onion. While sauteing, dilute the corn starch in the beef or chicken stock. 2) Add the beef stock-cornstarch mixture, worcestershire sauce, soy sauce, brown sugar, pinch of salt, and black pepper. Simmer for 5 minutes stirring continuously. 3) Filter the sauce by using a fine strainer. 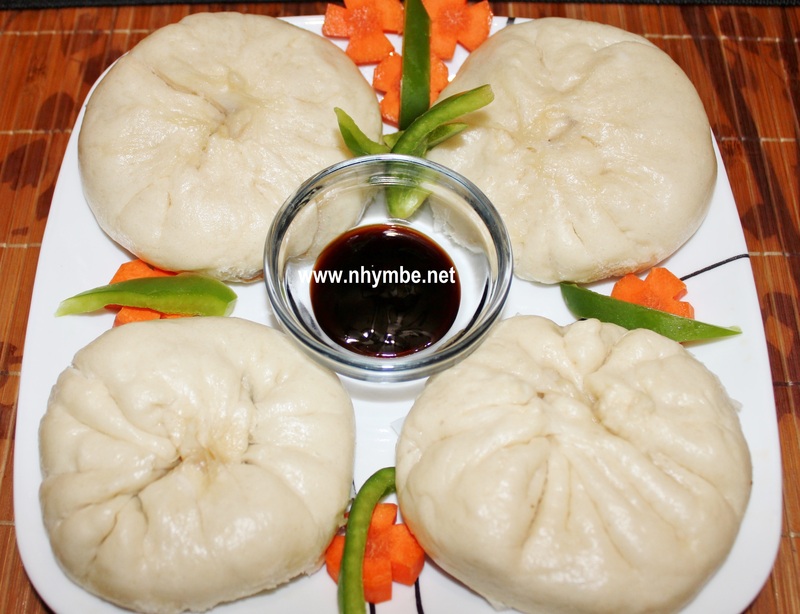 Siopao sauce is ready! Yummy foods and thanks for sharing ur recipe.